There are popular Jamaican and Sri Lankan versions (recipes below) which have a nice regional twist. Click the Image Links below for a variety of your favourite hot, mild and fiery mixes appropriate for many types of curries and numerous other dishes. About 25 years ago, the very first blend I ever made was a curry one, and from that day I definitely caught the bug! Even today the recipes above are still my favourites. Of course you buy a jar of spices, but if you value great home cooking then I urge you to have a go at making one of the above. ...You don't have control over what the manufacturer adds, these can include cheap fillers like processed salt or chili powder, or both! And I must mention artificial flavours, preservatives and colourings. There are reasons these are added and none of them worthwhile! 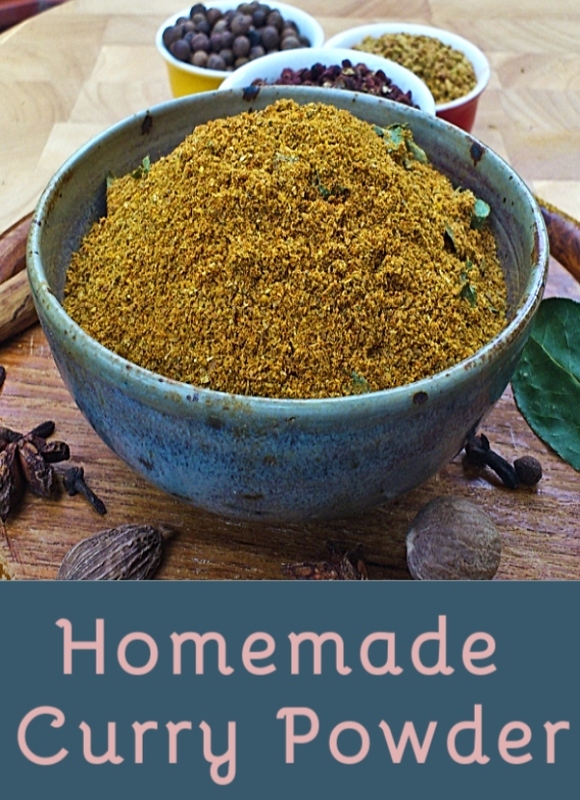 With just a few curry powder ingredients, you can create the blend you want; exactly how you like it. Make them yourself and you get to decide what goes in. Don't like a certain ingredient? Leave it out or substitute another. On a low sodium diet? Reduce the salt or leave it out completely. Want more heat? Add an extra teaspon of chili powder. You get the picture, nothing is set in stone when you make your own!